When regulation came to the Financial Services industry we elected to become Registered Financial Advisors and to focus on Risk Management. To ensure we have not ignored the other areas of your life we have associated ourselves with colleagues who we trust and who we will refer you to. Whether you are looking for house, contents, car or business liability covers and stock we can help. We are able to offer personal and business cover through a variety of companies via our Fire and General associates. Advisor. For a transaction based Kiwisaver service we are working with Generate one of the leading Kiwisaver specialists. Orbit Protect specialize in Travel Insurance. 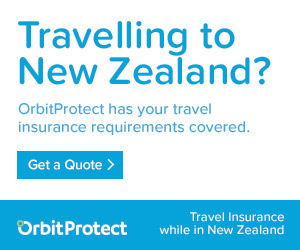 If you are in New Zealand as an international student, non-NZ resident, working holiday visitor or seasonal worker and have struggled to find the right insurance request a quote from Orbit Protect.